Do you have small people? Do you have young teenagers? Do you hope that you can bring them to the Hilton Arts Festival? The answer is … YES! There is a wide variety of entertaining and educational options open to you at this year’s festival, running from September 14 to 16, 2018, in the grounds of Hilton College. The festival has, again, partnered with Assitej SA to bring the best possible theatre for young people to KZN for the weekend. Assitej is an international umbrella organisation for youth theatre. It fosters and generates work specifically designed for the young with the aim to educate, stimulate and entertain though performance and workshops. This year we can offer you all these options. Then there is the festival itself. Within the area surrounding the Music Block there are pony rides, a jumping castle and a craft area as well as a child-friendly tea garden and pancake outlet. The following options, all presented by Assitej SA, are open to you. Chiffonade is a dance performance specifically made for toddlers and young children. The piece is created by established French choreographer Michelle Dhallu of Carré Blanc Cie and has toured extensively in Europe and around the globe receiving glowing reviews. As dance critic Mary Brennan says “The hurly burly of the Fringe (Edinburgh) doesn’t always feel a welcoming habitat for very young children, nonetheless there are wee gems for early year’s theatre-goers. Chiffonade is one of them… A ginormous squishy ball of many colours sits alone on the stage. It’s actually the patchwork house of a mercurial sprite who gives the sphere lively legs, turns it into a snail-shell home, and finally wriggles out of it into the Big World.” The dance piece is given new life as Dhallu partners with Assitej SA and acclaimed Vuyani Dance Theatre performer Lulu Mhlangeni to provide a unique South African take on the work. Chiffonade unfolds with fabrics as its raw materials – fabrics you can touch, crumple up, feel and fold, fabrics you can wear or disguise yourself in and which condition the way other people see us. But Chiffonade also evokes emancipation, with the chrysalis of a child growing and growing until it becomes an adult. Two boys from different worlds puzzle their way through the tumultuous, playful years of childhood in search of friendship and acceptance. As Morena and David grow into adolescence, they try to make sense of the world into which they are moving, wondering whether they can ever realize their dreams. The play explores the nature of childhood, a stage in life often described as utopian, full of wonder and endless jollyness. The boys challenge this notion and reveal aspects seldom seen in childhood: Loss, loneliness, longing and hardship. The boys also remind us of the resilience of youth, of the audacity to dream and transcend, to give and inspire. Narrative Dreams is a play written by Lereko Mfono and directed by international award-winning director and actor Omphile Molusi. The play was developed through Assitej South Africa’s ‘Inspiring a Generation’ programme, where Lereko formed part of a selection of four young writers chosen to create work especially for the young. 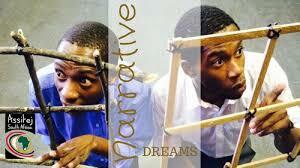 It made its premiere at the National Arts Festival in Grahamstown 2014, winning a Standard Bank Ovation award. Assitej is also offering workshops. There is no pre-booking. R30 at the door of the Band Room (in the Music Block) will get you a ticket for these workshops. Playwrights Who Play is a workshop by Lereko Mfono about beginning the process of writing through fun physical activities. It unleashes creativity and sets the stage for all aspirant playwrights to build their masterpieces. Assitej SA works to delight and engage children and young people through performance, art and creative play. They will be presenting workshops for young audiences directly after their family productions at the festival. Actor-facilitators will create a safe environment in which children can dress up and create a mini dramatic and fantasy play, where they can become various characters and exercise their imaginations. Come join the fun! 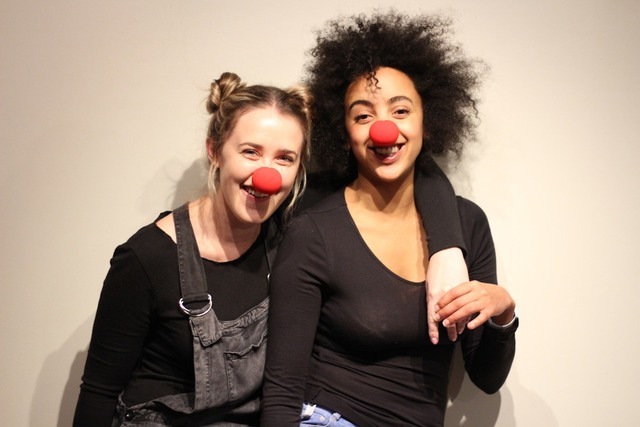 Klara van Wyk will run a workshop in using the arts and clowning to deal with any “suckishness” the world might have in store. Create your own clown and liberate your inner funny! So … bring your children along! join the fun! For more information, visit http://www.hiltonfestival.co.za/ or like the Facebook page, Hilton Arts Festival. Follow on Twitter @HiltonFest and Instagram. All enquiries on 033 383 0126 / 7 or tickets@hiltoncollege.com. The 26th annual Hilton Arts Festival will run from September 14 to 16, 2018. The full programme can be found on www.hiltonfestival.co.za Online bookings are open and programmes are available from various outlets in KZN. Refer to the website to see where you can collect a hard copy. The festival would not be possible without the generous support of Hilton College, Tiso Black Star, Grindrod Bank, Black Coffee Design, DWR Distribution, Extreme Events, Bidvest Car Rental, KZN Dept of Arts & Culture, Redlands Hotel, Assitej South Africa, Loud Crowd, Sappi, BASA, Corona and Capital Media.